“We hire professional published science fiction writers, we give them all of our data, and then we send them out in all directions,” he told Digital Trends. 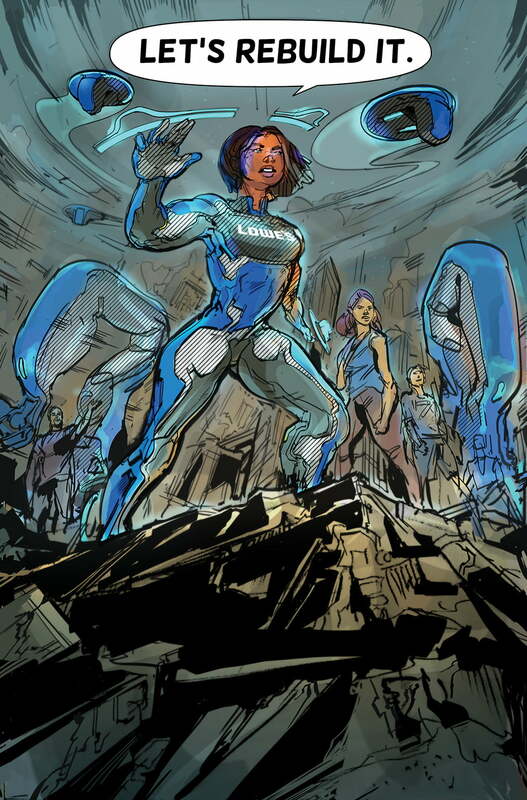 “And then they come back with short stories…we turn these into unexpected manifestations—usually comic books.” Nel is executive director of the Lowe’s Innovation Lab and a behavioral scientist by trade. But his job is reading sci-fi literature and printing comic books. “I literally make comic books for our executive team, and we sit down and literally read comic books. It sounds corny, but it works,” he said. From those comic books, the home improvement chain and the various sites it owns are at the very cutting edge of retail – 3D modeling, virtual and augmented reality, additive manufacturing, you name it. What’s happening at TheMine.com is just the first manifestation of that. TheMine.com is a home-goods retailer Lowe’s acquired in 2011. Its mission isn’t to be all things to all people, as Wayfair or Amazon.com is. It’s a shoppable site focused on high-end design, with a personal concierge service like you might find at Saks Fifth Avenue or Barney’s. But thanks to its physical location in the Northwest, right next door to Nel and the LIL, TheMine.com is also at the forefront of retail technology. There are about 300 products on the site today that have amazingly detailed custom 3D imagery, and Newbery expects that number to be over 1,000 by the end of the year. “We’ve been focused on revolutionizing the design industry,” she told me. Hit TheMine.com’s homepage and you’ll see a section called Virtual Imaging Collection. Every item in it includes detailed 3D imagery that you can rotate and twist and turn. The images themselves are scans, not mere hand-drawn renderings, thanks to a proprietary process Lowe’s has developed and plans to rapidly scale. The 3D models let you see the lamplight reflect off a chrome surface or the texture of a wool rug. 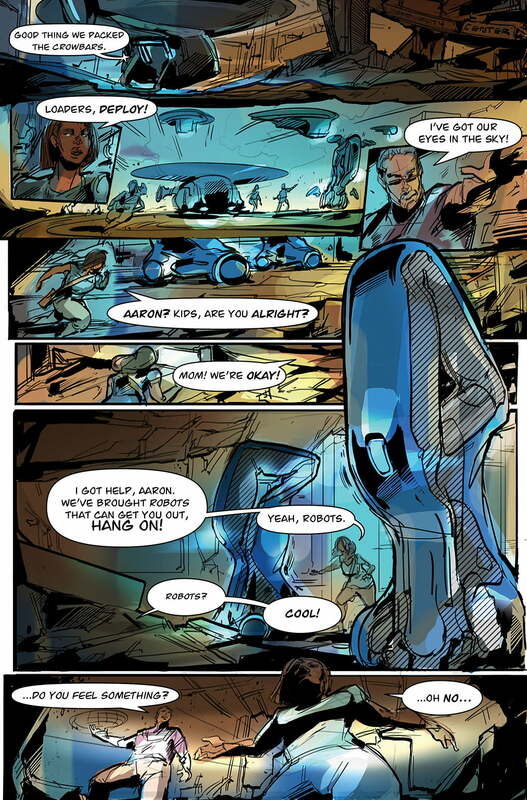 Remember the high quality of the virtual robots from the latest Transformers movie? Those are 1/8 the density of TheMine.com’s images. Newbery said the site is using 3D imagery to increase conversion on soft-selling items and has seen rates soar higher than 50 percent. How did retail evolve from comics? It’s simple really. Think about science fiction books, TV shows, and movies, which often feel like nearly attainable versions of reality. Think about the gloves and virtual displays Tom Cruise used in The Minority Report (the movie, not the TV series), or tricorders from Star Trek, or warp drives or any other goodies from the movies or books. Nel’s idea was simple enough: If science fiction gets it right often enough, why not tap into that? At a meeting with Apple a few weeks back, I saw exactly that in action, in fact, thanks to ARKit and a new iOS app from Ikea called Ikea Place. With the app, you can look through the phone at your living room and drop a virtual chair anywhere. Spin it, zoom in on it to see the texture, drop it on top of another chair, or whatever. Lowe’s was first to market with this stuff, however, thanks to a partnership with Google and Lenovo to produce Tango phones with AR capability such as the Lenovo Phab 2 Pro. 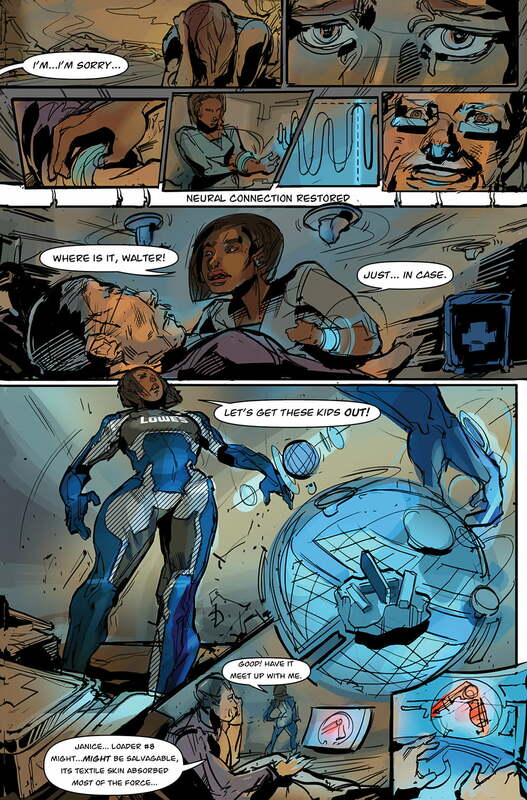 The Lowe’s Vision app was created by Nel’s team – and dreamed up in a comic book, of course. Comic books seem silly, but Nel is dead serious about it. Teams share complex information through stories, he believes, but in modern work environments, there’s no mechanism for doing that. Hence comic books. Along the way, the Innovation Lab built an applied neuroscience company, helped put the first 3D printer in the international space station, and pioneered work in augmented reality. That will only continue, he says, both at Lowe’s and TheMine.com.